Students sit together on the Quad at Illinois State. Who better to speak on how a campus visit can help clear a path for your student’s future than current college students? 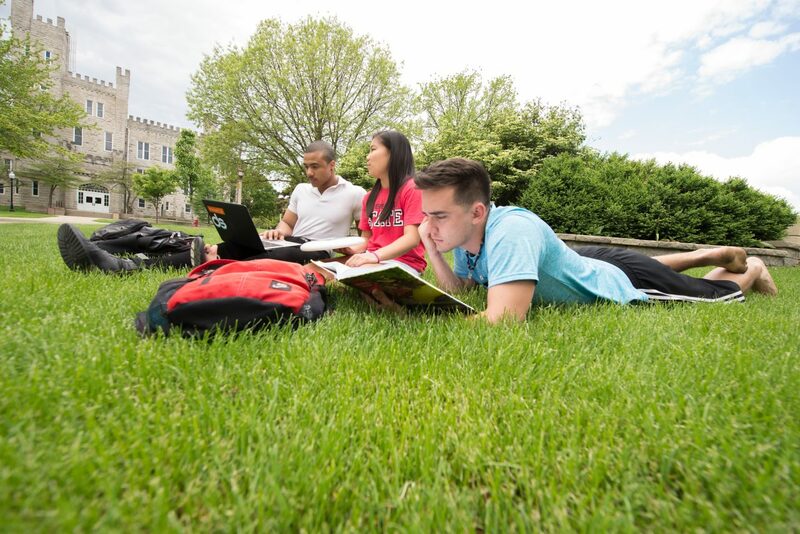 These Illinois State students share their stories of how a visit helped them decide to become Redbirds, and they offer advice on how your family can get the most out of a stop on campus. Hillary Simon had Illinois State at the top of her list of schools from early on in the process. The Morton Grove native knew she wanted to study special education, and Illinois State provided her the best opportunity to do that. But it was stepping on campus that made her feel like her heart and her head were on the same page, setting her up for the best possible experience. In considering how to get the most out of a visit, Simon said it’s important to factor in quality of life. “Living outside of the classroom is a big part of what you’re going to be doing here,” she said. She recommends taking advantage of residence hall tours to see where your student will live, sleep, and study. She also took advantage of meeting with academic department advisors, who made her feel comfortable and at home pursuing her special education path. After getting an associate degree in junior college, Wade Hutchens was looking for somewhere he could wrap up his bachelor’s in two years. He also wanted a place where he would love to live. Illinois State’s location in Normal was what caused him to find his fit. For many students, the campus visit was what convinced them they’d found a place where they fit. A double major in animal science and animal industry management, Hutchens’ embrace of the community as home helped put him on track to graduate on time with not one, but two degrees. Samantha Doak wanted a lot out of her college experience. A former high school golfer who planned to study accounting, she wanted a university environment that would support her academic pursuits while also featuring a vibrant athletic culture. Her visit to Illinois State helped her connect with her future home on both fronts. Doak visited Illinois State three times before making her college decision; being able to step onto campus offered her a sense of the community and the opportunity to meet with an academic department representative. “The visit was extremely important to see where I was going to be living—where I was moving, essentially—and to see the type of environment Illinois State has,” Doak said. Doak ultimately discovered her academic interests lie not in accounting, but in finance and political science. Because she had found a good fit for herself as a Redbird, she was able to successfully transition to a new path of study. Now she urges prospective students to not just make a campus visit, but to get invested in it—taking pictures and asking questions of tour guides. You’ve heard from the students why seeing campus is so important. Don’t miss your chance to experience an Open House at Illinois State, or stop by another time to see us. Illinois State was one of eight colleges that Sid Menon researched during high school. It was, in fact, the last of the eight he visited. That visit came on a gloomy, rainy day, yet turned out to be a tipping point in his college decision. That on-campus experience influenced the family to make a return trip for an Open House. Menon’s mother was looking for strong academics, and a trip to the College of Business eased her mind. Meanwhile, Menon found a Goldilocks campus—not too big, not too small, it felt just right. Now, the finance and international business major gives campus tours of his own and wants prospective students to make the most of their visits so they can find the same sense of belonging and success that he has. Come see us at Illinois State and take advantage of your chance to ask questions and see what college life is all about.